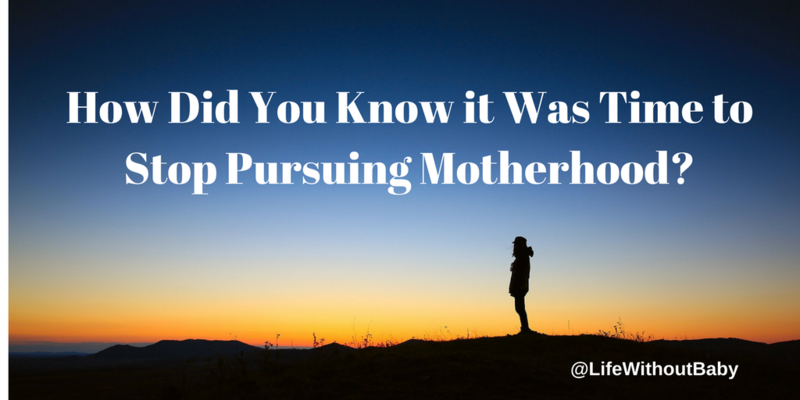 How Did You Know it Was Time to Stop Pursuing Motherhood? How do you know when it’s time to stop pursuing your dreams of motherhood? How do you know when enough is enough, when you have to reclaim your life and make new plans? It’s not a simple question to answer. 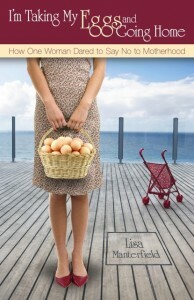 There were several moments that I wrote about in detail in I’m Taking My Eggs and Going Home. These were moments when I knew, deep down, that I had to stop treatment and had to find a way to move on without children. The first was when I was sitting at a bus stop on my way home from my third doctor appointment of the week. I realized that getting pregnant had become a full-time job and that it was consuming every aspect of my life. Case in point, I don’t even remember why I was taking the bus (two buses, actually) to my appointments, but I do remember that this had become my habit. I can picture myself now, staring out the bus window, almost in a trance, so wrapped up my world of infertility, I was barely aware of my actions. I knew then I had lost touch with reality and myself. Another point came not long after Mr. Fab realized that adoption wasn’t going to be a viable option for us. This really should have been the stopping point, but before long I found myself in the infertility section of the bookstore, browsing a book by a doctor who had performed fertility miracles through Chinese Medicine. I bought the book, even though we’d already traveled far down that road. When I mentioned it to Mr. Fab, he said all the right, supportive things, but I saw his face drop for a moment. I knew that he was wrung out, that he had reached the end of his journey, and that I should have been at the end of mine, too. But by the end of that week, I had an appointment with the miracle doctor and I was back on the bus, both literally and figuratively. One of my last lightbulb moments came when Mr. Fab’s first grandchild was born. That passing of the motherhood torch to the next generation served to tell me that it was time for my journey to end. I had done all I could, motherhood wasn’t going to happen for me, and I had to let it go. In between these events, and even after I was sure I would not be a mother, there were many moments of doubt, of second-guessing, of what-ifs. But for every step backwards, I took two steps forward toward recovery, and then three, and then four, until the backward slips became fewer and eventually stopped. I imagine each of you has a similar story of realization and doubts. What were your “lightbulb” moments and how did you finally know it was time to stop? Last year I had the pleasure of doing a podcast interview with Cathy at Slow Swimmers and Fried Eggs. We had an excellent conversation and covered the gamut of topics from the shock of realizing we were infertile to the unexpected benefits of living childfree. One of the questions she asked about my “lightbulb” moment, that one event or conversation or realization that told me I had to stop pursuing my quest for motherhood. You can list to my interview with Cathy here. We talk a lot in this community about the power of telling our stories, of hearing other people’s stories, and of having our voices heard in a world that doesn’t want to talk about uncomfortable topics like infertility, loss, and childlessness. A couple of weeks ago, I had the honor of talking to Cathy Broadwell on her wonderful new podcast “Slow Swimmers and Fried Eggs.” Cathy has been writing a blog by the same title for some time now and recently convinced her boss to fund a podcast. What’s so powerful about the work Cathy is doing is that she writes in partnership with her husband, and their blog is hosted on the website of a fertility hospital. 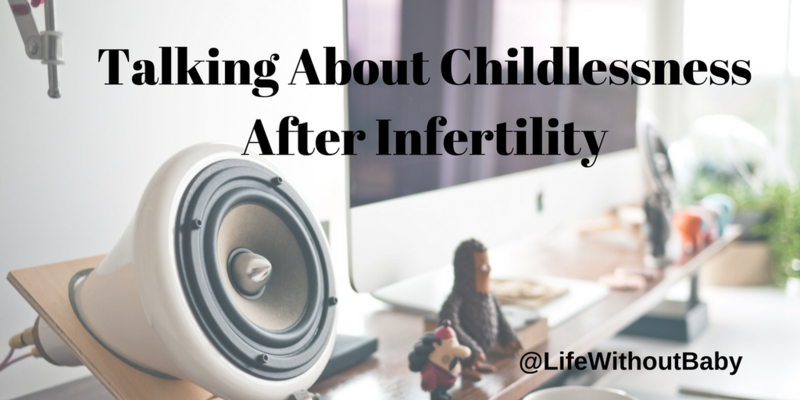 Not so long ago, it was almost unheard of for an infertility blog to even entertain the idea that the infertility journey could end without children. 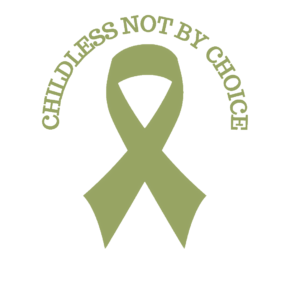 I remember discovering a forum for “Life After Infertility” on one well-known resource’s site, only to realize it was full of discussions about teething and the best kind of baby stroller to buy. Another popular blogger, who went on to have children, continued to serve the infertility community, but managed to alienate all her readers who had “given up” on having children. Cathy’s blog marks a BIG step forward for our community, a step towards inclusion and genuine, frank conversations about the realities of infertility. You can hear my conversation with Cathy in the latest episode of her podcast, here. Be sure to also check out her earlier conversations with Sarah Chamberlain of Infertility Honesty and our own Kathleen Guthrie Woods. And a big thank you to Cathy for having the courage to help shatter the stigma. 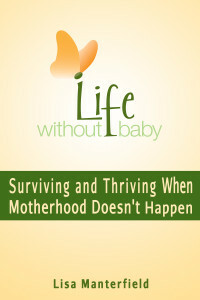 My new book, Life Without Baby: Surviving and Thriving When Motherhood Doesn’t Happen is making its debut today and I’m so pleased to be able to share it with you. It’s chock full of everything I’ve learned on this long, sometimes rocky, path to making peace with a life without children. Perhaps the most important lesson I’ve learned since deciding to walk away from the possibility of motherhood is that none of us needs to go through this alone. Even though I once felt as if I was the only person this had ever happened to, I quickly learned that there is a generous and supportive community of women out there. And I’d like to introduce you to some of them. Over the next couple of weeks, I’ll be visiting some of my favorite bloggers around the world. I hope you’ll come with me to discover some new resources and to meet some truly remarkable women. I’m kicking off my tour today with a trip to Australia, where I join Michelle Marie McGrath on her Unclassified Woman podcast. 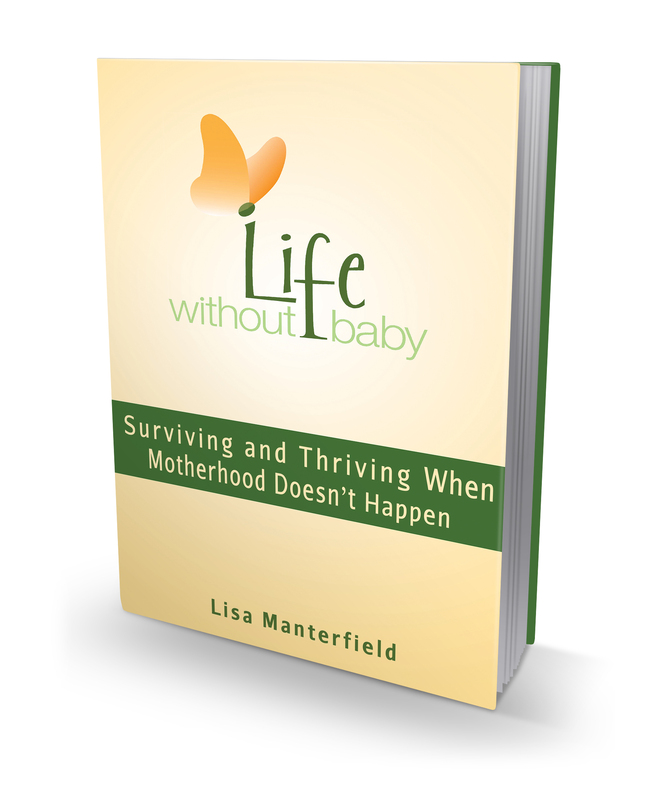 Michelle has put together a fantastic series of interviews with childless and childfree women from around the world. We spoke about dealing with grief, debunking myths about childlessness, and about the healing power of writing and other creative pursuits. Michelle will also be giving away of copy of my book, so we sure to tune in for your chance.